This week I'm writing about this business themed template that I developed and that I'm sharing here in the community! 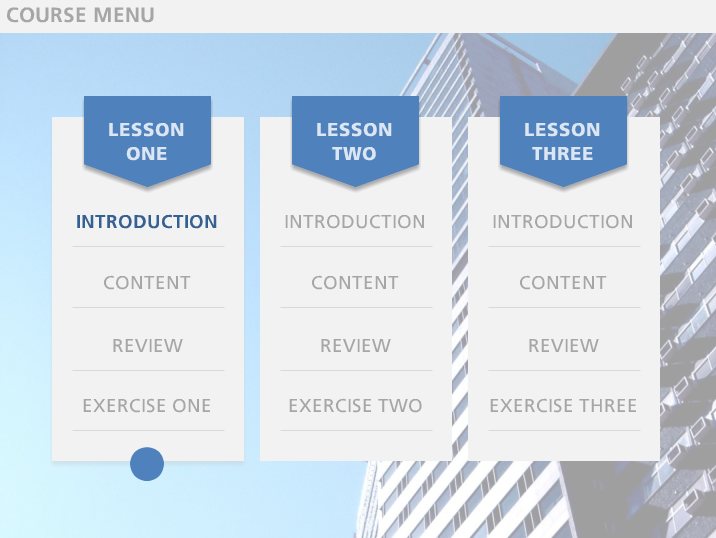 This template contains another cool example of how you can build an interactive table in Storyline (I posted another example of that a few weeks ago, here) and the cool thing is that here the interactive tables serve double duty as a course menu that allows users to track what slides they have visited. 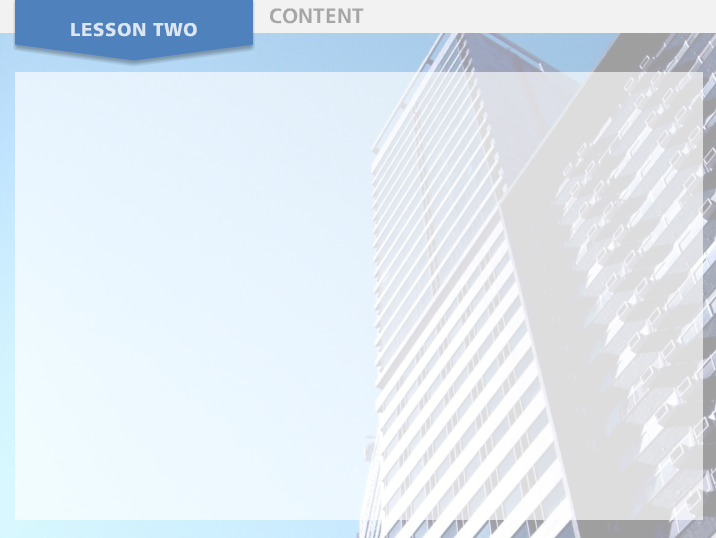 The inspiration for this template was the background photo, which shows a modern looking building and a really bright blue sky. I really liked this photo and thought it would make a great background for a template. After I added the background photo, I used the "Transparency" effect to give the photo a bit of a blurred look, which makes the image stand out a bit less. I picked up the blue color that is used throughout the template by using the eyedropper tool on the image and selecting a nice blue. 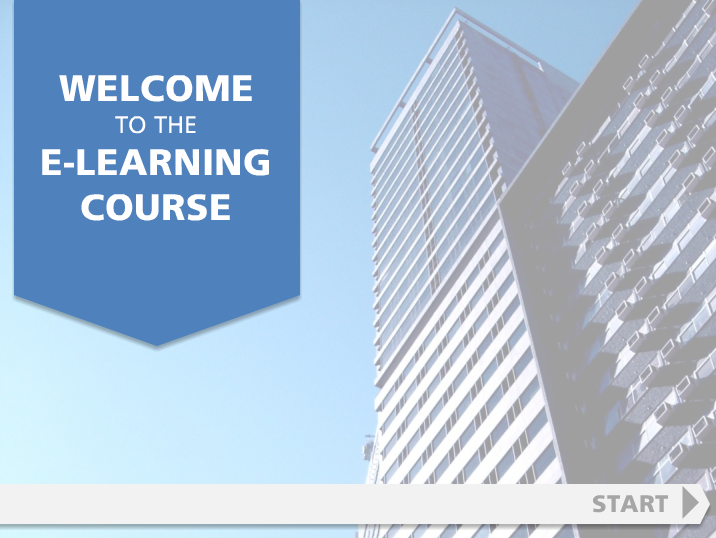 The course menu slide, or interactive table, was built simply using a shapes and text! I grouped the items together and added a hover effect and the blue circle that you see at the bottom of the column. I also added a visited state for the links to the various slides, to help users track their progress and know which content has already been visited. The additional content slides were built simply by using a white rectangle with the custom transparency to define the different content areas on the slide. 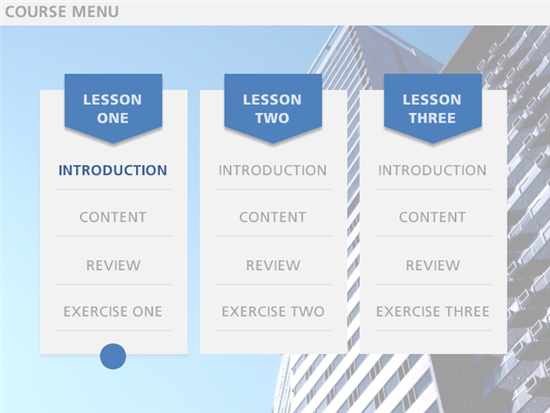 You can check out the published version of the template here: Blue Business Template with Interactive Table, and you can head over to the Downloads section to download this template! hi there, i have a problem. i want to verify the input data by text data entry. please send me a link to upload my story. Thank You. Looks great. I love this.